It’s not clear who started last month’s petition to build a gateway on Parnell Street to mark the entrance to Dublin’s unofficial Chinatown, or the Facebook page to go with it. They didn’t respond to our attempts to contact them — perhaps dissuaded by some of the hostile and xenophobic responses to the suggestion online. But the pitch is still there. “Parnell Street is where the greatest concentration of the Chinese community in Dublin lives and works,” the petition reads. “The street offers so much, there are Asian shops, restaurants, cultural centres, businesses and communities. Despite all of this we haven’t made the most of it, it is time to fully recognise our Chinatown and give it the boost it needs,” it says. Google Maps classifies Parnell Street as Chinatown. Should we make it official with an arch? So far, only 48 people have signed the petition and some of the reactions on the Facebook page to the idea have been aggressively xenophobic and even threatening. The goal, in the petition, of having a gateway to the city’s Chinatown by the 2017 Chinese New Year Festival looks distant. These gates, or paifangs, or friendship arches, can be seen around the world marking the entrances to areas where Chinese migrants have found support networks, and opened businesses. Often, they are grand and gold and red, designed in a traditional Chinese architectural style with inscriptions in Chinese — but not always. In recent years, Chinese communities in New York have continued to push for these gateways to be constructed around the city’s Chinatowns, as the New York Times has reported. So why not here? Or would that be unfair to others who live and work in the neighbourhood? 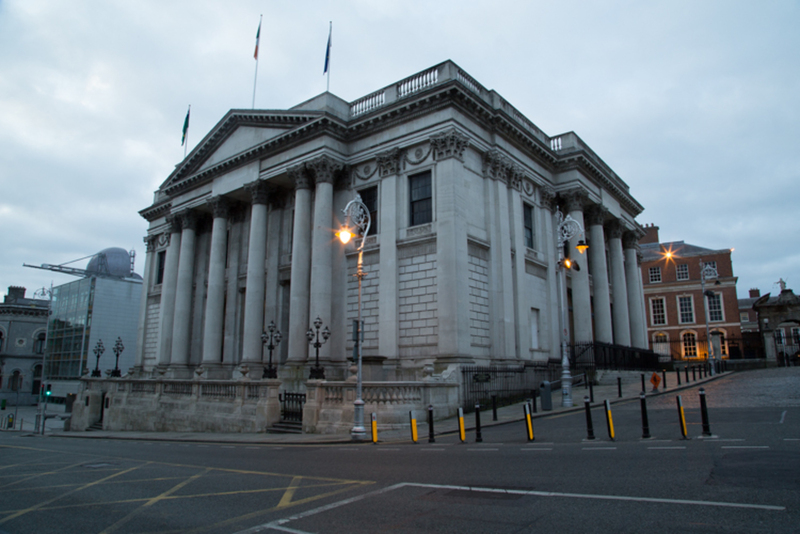 Would a gateway be marking Parnell Street as a ghetto? The petition doesn’t say how an archway would be financed. Perhaps it wold be by Dublin City Council or through contributions from local businesses that feel it might do the area some good. On Parnell Street, the Chinese presence is evident. There are clusters of Chinese restaurants, specialising in barbecue or noodles. But there is also a Vietnamese restaurant, a Korean bar, a kebab shop, a chipper and a Brazilian restaurant. There are plenty of Asian supermarkets as well, and even a Asian spa and massage centre. Down the road in one of the hairdressers, Tony Wong says he loves the idea of an arch. A lucky golden Chinese cat flashes a paw on the desk in front of him. An archway would give the street a boost, he says, and bring more Irish shoppers into the area. Tourists too might be drawn down the street. Patrick O’Mara said he also thought an archway would be a real help to the area. But there are also loads of Brazilian and Vietnamese shops and shoppers, too, said O’Mara, who has worked on the street for two years. Fianna Fáil councillor Paul McAuliffe said the neighbourhood could definitely benefit from some care. 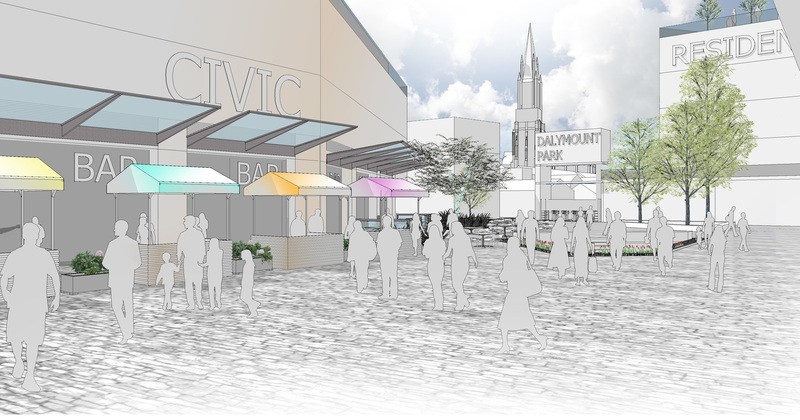 “I think there’s definitely room to improve the public realm and I wouldn’t have any issue with having landmarks or public sculptures that recognise ethnicity in an area,” said McAuliffe, who is head of the council’s Economic Development and Enterprise Strategic Policy Committee. 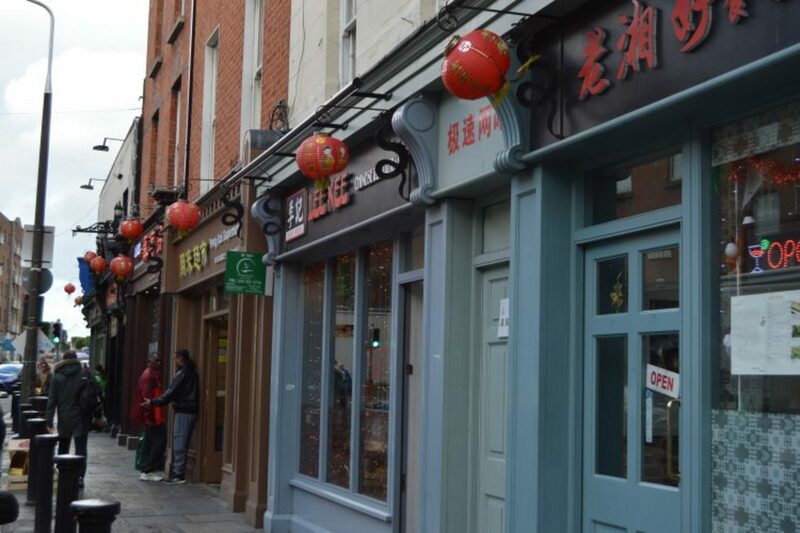 The idea for a gateway to mark Parnell Street as Dublin’s official Chinatown has floated around for years, he said. He recalls former Fine Gael Lord Mayor Gerry Breen mentioning it in his inauguration speech back in 2011. McAuliffe wold be quicker to support the provision of public art in the area. But if there was a full economic development plan for the area to go with the development of an archway, he’d be happy to go along with it. Good post. Leaving aside the misunderstanding by Cllr McAuliffe of the ‘gate’ – its an arch really rather than a closing gate – I dont really support the idea. I always thought it was a bit of a gimmicky idea by the Lord Mayor Gerry Breen and Tom Coffey of DCBA that fundamentally overlooked the main problem of Parnell Street: its abysmal state. 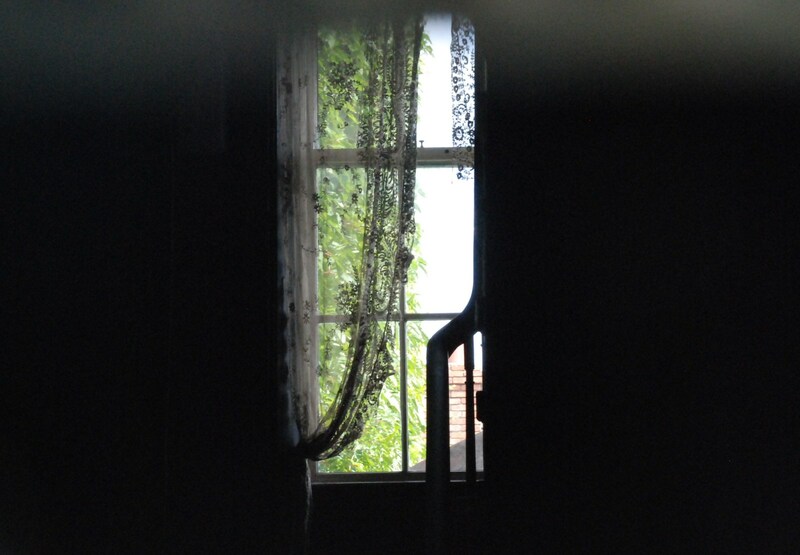 The street is a kip – sorry to be so blunt and uncharitable. Despite some very positive recent efforts by one significant property owner on the street and some other smaller improvements, no one invests in the street. Its public realm is a disgrace: the footpaths, clutter, lack of coherence, lack of anything resembling quality. Granted Luas works will lead to some improvement – and these had to be conditioned in by ABP during the Railway Order application, they weren’t planned. But its buildings are in a dreadful state., despite a large part of the street being in a conservation area and despite many properties being quite old and in some cases quite interesting. No one makes any real effort here. The revolving door of Asian businesses – constantly changing restaurants and supermarkets doesn’t help the street. It doesn’t building anything lasting. Its fine to have this for a while to get a place started and bring in some new energy, but its not a long term solution for the street, its doesn’t allow for investment, betterment, footfall building, custom retention – all of which are needed here. 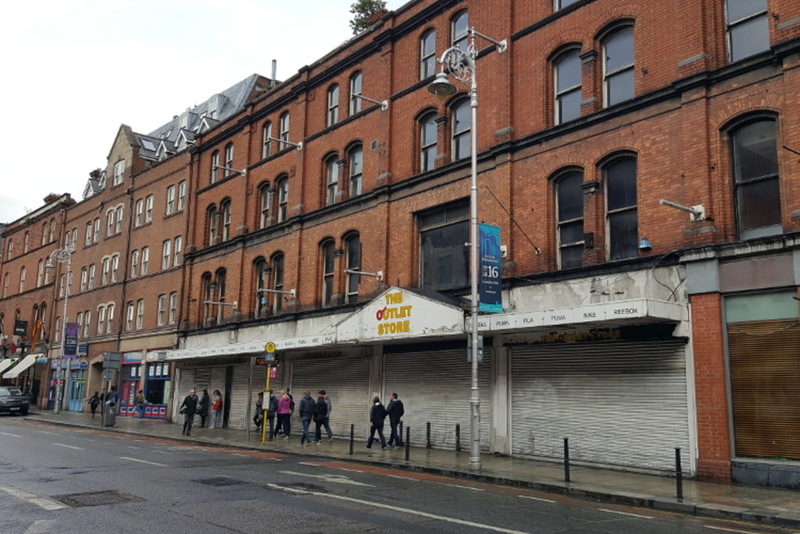 Together with nearby Marlborough Street, Parnell Street has been in this state for decades. Its bizarre. Metres from our capital’s main street (which lets face it has its own problems), these streets languish in permanent decline and dereliction and dirt. I hope Luas brings improvement, I hope there will be a coordinated plan for the street, and I hope people who own buildings here cop on to themselves. But until that happens, a gaudy archway isn’t going to make much difference. Love Pho Viet by the way – and Kimchi and Deli 147 There’s great potential. But its no where near being realised. Pity that the do gooders dont spend half as much energy sorting the homeless situation instead of an Arch for Chinatown. Typacal. Agree completely the more arches in dublin the better. @stephenc: I have to agree with the state of the street. Like most of Dublin it is not pedestrian friendly at all- narrow footpaths strewn with the usual overload of those damn parking bollards, sandwich boards and broken paving. It could really do with widened footpaths and trying to minimise the car traffic and parking. Perhaps they could look at more characterful paving stonework, and livening up the dull gable ends with wall art.